You probably know by now that web hosting is a popular service millions of people rely on to create their websites. These services are used for everything from blogs and personal sites to e-commerce and community sites. What many people don’t know is the importance of web hosting as it relates to search engine optimization. You can truly benefit from search engine traffic by leveraging your hosting solution and devising a sound SEO strategy. Before even purchasing a web hosting plan, you probably want to get yourself a domain first. If you already have a name registered with another host, it shouldn’t be difficult to transfer it over to a new provider. If not, you can easily register one for about $10 a year. When it comes to SEO, both your domain and URLs are extremely important. This is because when the search engine spiders come crawling, they index your pages individually opposed to the website itself. With most hosting solutions, you have the ability to create custom URLs, so when used in conjunction with your domain name, it makes a great way to increase visibility in the eyes of the search engines. The features a web hosting provider offers can also benefit your SEO efforts. Because optimizing for targeted search engine traffic has proven to be effective, many hosts now offer tools that help research and choose the best keywords for your site. Another great feature is the handy web application. These utilities give you graphical statistics on your website traffic, showing when visitors came in and where they come from. They usually show you which search engine spiders visited your site as well. Then you have companies that offer free search engine submissions, free marketing credits, Google webmaster tools and more. The average web hosting package is loaded with an arsenal of tools that can aid in SEO. Although web hosting plays a major role in SEO, the actual results all depends on the hosting company. This is why it is so crucial to put an emphasis on quality and reliability rather than the cost of service. There are many types of hosting out there and finding a cheap solution is easier than ever before. When looking for a service, you need to keep in mind that you are essentially placing the fate of your search engine rankings in the hands of another company. This is one relationship where trust is key. Without doing your research and rushing into a service, you can end up with a solution that does more harm to your visibility than good. Worst of all, you may not even be aware of it. You should also be cautious about hosting multiple domains on a single account and server. While this may seem like a practical and cost effective move, it could also hinder your cause. 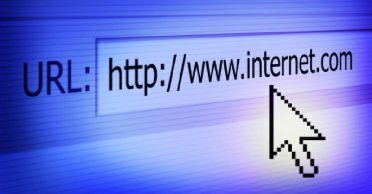 It is speculated that search engines view linking from within the same IP address as a move done to generate false link popularity. In order to get the best results, SEO and web hosting need to work in perfect harmony.